A degree in Adult Education can prepare you for a broad variety of rewarding job opportunities. Those with a degree in this field help prepare adults with the knowledge and skills required to be more effective and more productive citizens, workers, parents, and members of the community. While many seeking a graduate degree in Adult Ed do so because they already work as an adult educator and wish to broaden their skills, professionals from many other fields also seek this type of advanced degree. In addition to preparing teachers, these programs provide skills useful to professional trainers, community organizers, human resources specialists, government officials, and more. In additional to completing coursework in the methodology and philosophy of educating adults, students will also complete courses on more general topics like education in the workplace or community education. 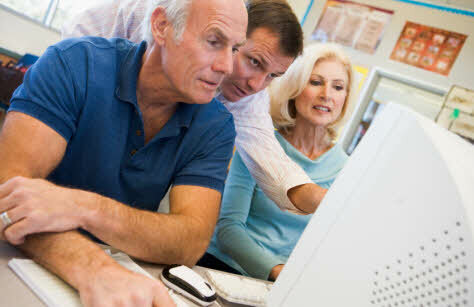 Typically, students are required to pick a specialty within Adult Education and develop a self-directed program under the supervision of a faculty member. This self-directed program typically includes coursework, fieldwork, and research. Such “sub-specializations” might include focusing on teaching English as a second language, preparing adults for citizenship, teaching adults with disabilities, teaching parenting skills, acting as a life coach, and more.